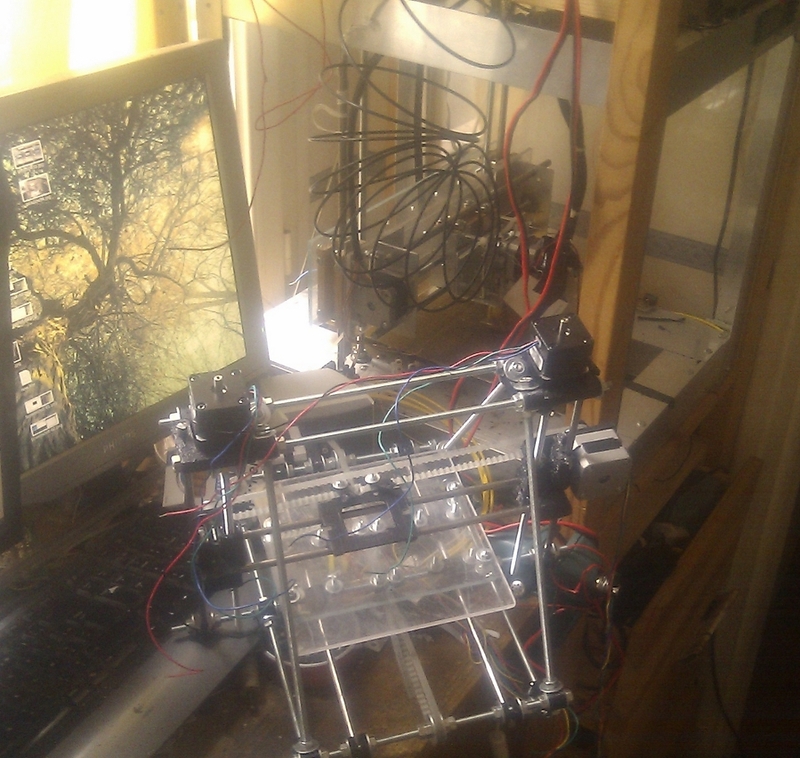 Bootstraping a Reprap : generation 2 is born ! 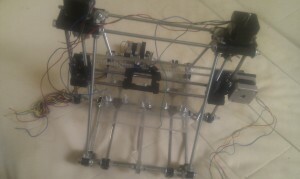 Finally, after weeks ,if not months of work, i finished printing all the necesarry parts for my second gen Reprap . The key aspect of this, is that this was done using my very slow (because of low quality threaded rod driven approach) original repstrap. More info on the happy birth after the break ! the speed is amazing even when not pushing things too hard i get an X/Y axis speed of about 85mm/s !! This might not seem much , but lets put it into context: my current machine has a maximum speed of .. 2.5mm/s so that is a 34 fold increase in speed ! however, replacement , in the form of a Gen7 motherboard is on its way ! Parental planning : let’s make more kids ! This mini mendel is actually only the first step towards a “reprap farm” sort of setup : i already have all the necessary electronics / motors etc for a second mini mendel of the same type, so once the new machine starts printing, there will be 3 members in the family. Also since my Reprap/Repstrap control project , Doboz-Web , already has (not fully finished) support for multiple machine management and control, i will really be able to step things up.